So you think you're ready to propose to the woman of your dreams? Have you thought it through? Diamond Manufacturers, the engagement ring specialists, have put this handy Pre-Proposal guide together so you’ll know for sure if you’re ready for the lifetime commitment. 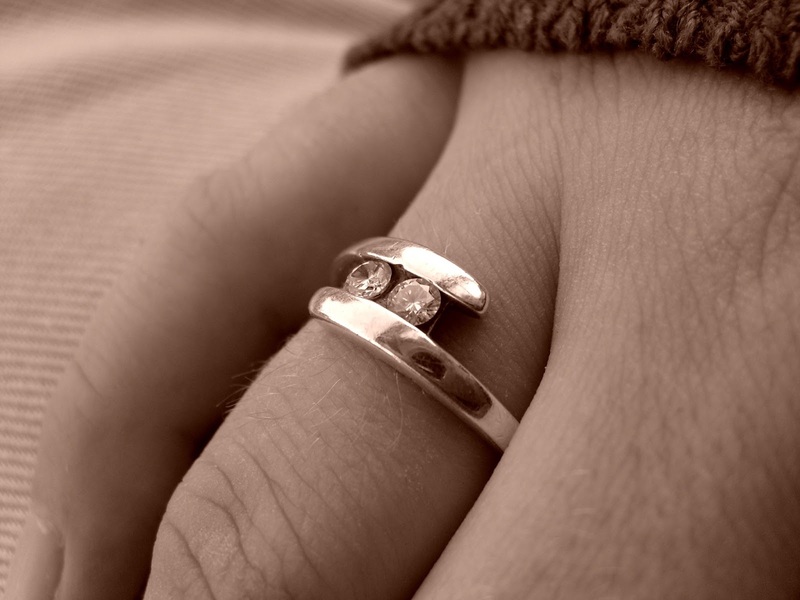 Marriage is supposed to be a lifelong commitment to your partner, so it’s something you should not be rushing into. You need to make sure you know everything important about your possible wife-to-be before you get down on one knee. What are her political and religious views? Is her credit history going to stop you from buying a house together? What are her ambitions? These are just a few of the really important parts of your partner’s personality you need to know about before you consider marriage. We’re not talking about the mystical ‘The One’ here, rather asking if she’s someone you can honestly call your perfect life partner. If you miss her when you’re apart, you can visualise yourself growing old with her, and if she always comes out on top compared to other women, chances are she’s a keeper. The idea that opposites attract is, 99% of the time, totally false. While you don’t need to have exactly matching personalities, you need to have similar living styles and ideals in order for a marriage to work. If one of you is a clean freak and the other is a total slob, arguments about who left their pants on the bathroom floor everyday can be extremely wearing. Likewise, if one of you loves the great outdoors whilst the other would preferably spend every day in front of the TV, you’re both going to feel worn down in the long run. While plenty of people get married and wait a few years to have kids, it’s really important you’re both in the same mind-set when it comes to actually having children. Not everyone wants kids, which is totally fine, but if you can’t wait to start a family and she can’t stand the idea of becoming a mum, the relationship can only end unhappily as one partner goes unfulfilled. If she’s said before that marriage is outdated, overpriced and pointless, chances are she’s not the marrying type. This doesn’t mean she isn’t committed to the relationship and in it for the long run – she just doesn’t think marriage is totally necessary. Her views on marriage can often be influenced by her parents. If her mum and dad are completely happily married, chances are she’ll want to get hitched. And if they went through a messy divorce or breakup, she might want to avoid it. Are you proposing for the right reasons? Despite more and more couples living together becoming the norm, family and friends can still pile on the pressure. It can often feel like you should get married because it is the ‘done thing’, and it would make your and her parents happy. These are not reasons for marrying, and you shouldn’t let societal pressure force you into it. Marry for one reason and one reason alone: because you really, really want to marry your partner. There are a lot of things two people need to consider before they really get married. I'm glad you covered most of the things int his post. Yes indeed, if all these questions aren't considered, you might have to re-think about the proposal. I think people should write an honest list of what they are looking for in a spouse and exchange lists. Thanks for stopping by and sharing, Harleena. Judy, I haven't thought of that before, but exchanging lists seem to me a fantastic idea! Marriage should be treated as a lifetime commitment and not just as a trial-and-error type of relationship. A lot of things should be considered carefully especially the ones you mentioned here.